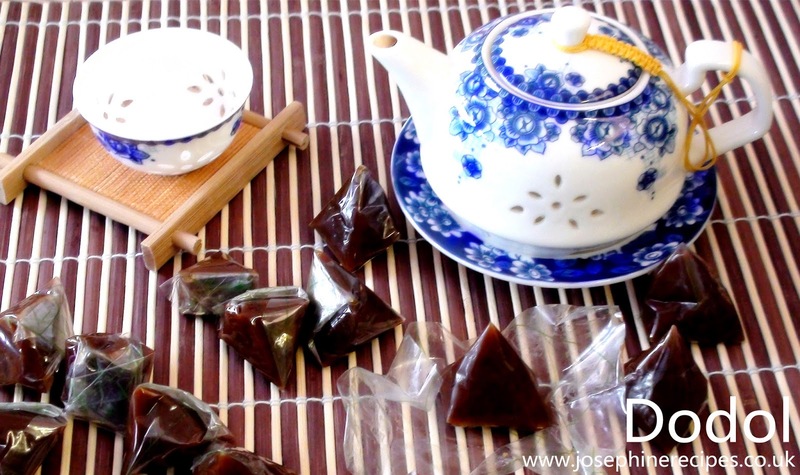 Learn How to Make Traditional Steamed Chinese New Year cake, known in Malay as Dodol, is flavoured with coconut brown sugar. You can sprinkle with or without toasted coconut shredded all over this cake as snacks. It can be eaten for three days. 1) Pour 1 cup of water, ½ cup coconut milk and bring to boil, Add 2 pieces coconut sugar, cook until completely dissolved. Drain through a fine sieve to make the mixture smoother. Leave aside to cool. 2) In a large bowl, sift 1 cup of glutinous rice flour, slowly add the coconut sugar syrup with your spoon and drain through a fine sieve once more then add 1 tbsp vegetable oil, stirring constantly until it thickens and your batter really smooth. 3) Pour enough hot water into the pan of the steamer. Place a greased heat resistant bowl and add the cake mixture and Cover with a lid.Steam the coconut sticky rice cake for 45 minutes to 1 hour. Sprinkled with or without the remaining desiccated Coconut on top as you desired. Adding it to desiccated coconut would affect the taste. 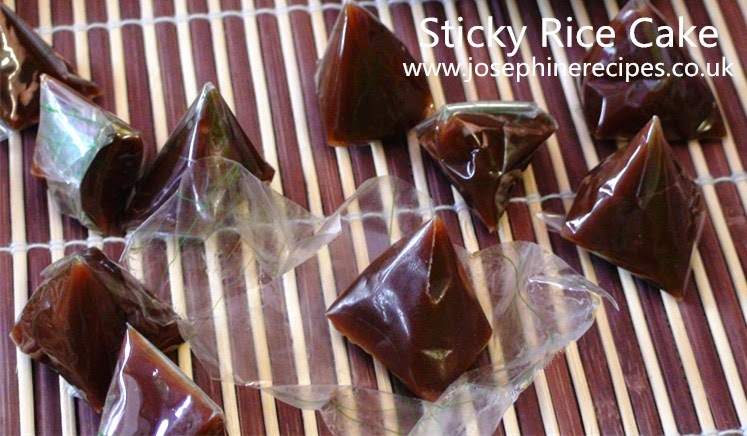 Serve hot with your spoon / chopstick or allow to cool, keep in fridge. or reheat it in the microwave or re-steam it for 5 minutes. Keep aside to cool and later cut it into desired shape and sizes. in room temperature keep well for 3 days in a cool, dry place.